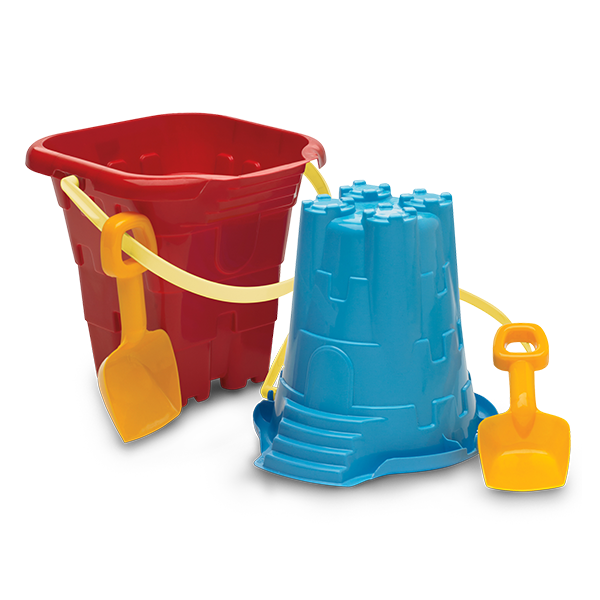 JUMBO CASTLE MOLD, PAIL & SHOVEL | American Plastic Toys Inc. This assortment includes jumbo round and square pails to make the sandcastle of kids’ dreams! Shovels are attached to each pail with a removable handle strap. Packed in assorted colors.